Another year and another successful US trip comes to a close. With our senior staff safely back from America, now comes the return of the carnet. For those that are unaware a carnet is our large shipment of garments that go out to the US cities that we visit, and our latest trip saw us visit San Francisco, Chicago and New York. 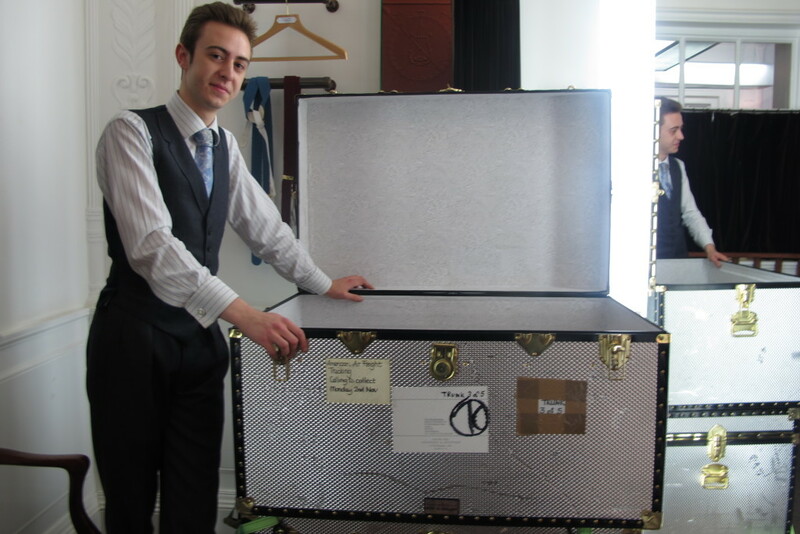 Five trunks came back each containing around 50 suits showing the sheer volume of work we have endeavoured to produce. With the return of the carnet now comes the time to unpack it. We must first see that all the garments are cross checked against our consignment information. Once this is complete we then get on to the task of stripping down all the fittings that were tried on. This ensures that any small tweaks are clearly marked for our tailors so they can move to produce the completed garment. This is also true of the finished garments; with any alterations being marked up & wrote down for our reference. After this final task we can then proceed to send garments onto our customers or if preferred they will be taken on our next US trip to be seen by Mr Heywood, Mr Hall and Mr Malone.